If you have been injured in an accident that was caused by someone else, your first instinct may be to try to negotiate a quick settlement with the insurance company. The insurance companies understand this and they prey on you making stupid mistakes in your settlement negotiations. They realize that if they can get to you before you talk to a lawyer, they increase the likelihood that they can settle your case quickly for a fraction of what it is really worth. For that reason, we highly recommend that you seek out a personal injury lawyer to help with your claim. However, if you are hell bent on negotiating on your own, here are ten negotiation mistakes that you absolutely must avoid if you would like to retain any hope of negotiating a favorable settlement. Pro Tip: You Don’t Have to Answer Every Question! One of the first things the insurance adjuster will try to do is get you to give what is called a “recorded statement”. This is basically a recorded telephonic interview where they will ask you a bunch of questions about the incident so that they can “complete their file”. In reality, these statements are set up to decrease the value of your claim. The adjusters have been trained to answer questions in a way that are most likely to illicit a response from you that is against your interest. The best way to combat these recorded statements is to not give one in the first place. The adjuster may tell you that they can’t proceed further with your claim until you give them a recorded statement. That is a lie. At no point in the process are you legally required to give a recorded statement. If and when you file a lawsuit, they can take your deposition, but by that time you will (presumably) have a lawyer representing you that can adequately prepare you for the deposition and defend against improper questions. Ok, just because you don’t have to give a recorded statement doesn’t mean you are free to lie to the insurance company. Failing to answer their questions on a recorded line is different than lying. You must be honest and forthright with the information you give the adjuster. Failing to do so will only harm your claim in the long run. Another item that the insurance adjuster will insist that you provide is your medical records. But they don’t need these right away. Never, under any circumstances, sign a medical records release that has been provided to you by the insurance company. These releases are broad and over-reaching. They will attempt to gather any of your medical records from any provider that you have ever treated with. Instead wait until you are nearing the end of your treatment. At that time, you may order a full copy of your medical records as they pertain to your injuries from this accident. You can also order a copy of your medical bills, although we recommend that you redact any payments that have been made. Once you have gathered all of your medical records and redacted bills, you can compile them with any other information necessary to send with your demand package. Always send your medical records on your terms, not the insurance companies. Don’t ever admit to or discuss any pre-existing conditions with the insurance adjuster. Doing so may trigger a denial of your claim. The adjuster will try to connect your current injuries to your past injuries to do this. Again, you don’t need to lie, but you don’t need to answer their questions about pre-existing injuries either. If you follow the advice in this article and don’t give a recorded statement, you shouldn’t have a problem. Your injuries should speak for themselves. There is no need to exaggerate your injuries to try to get a higher settlement. This is a tactic that is used by the uninformed an uneducated claimant, and the adjusters can see right through it. If they sense that you are exaggerating your injuries, then they are more likely to deny your claim. 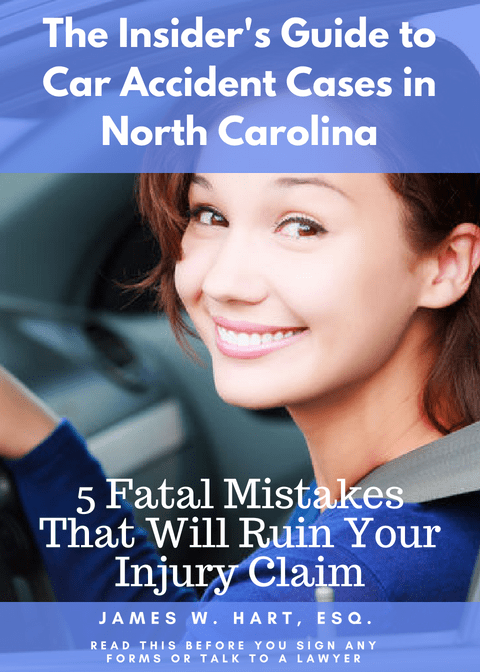 And not only that, if you ever file a lawsuit the fact that you previously exaggerated your injuries could and probably will be used against you in court by the defense lawyer. Insurance adjusters are trained to try and befriend you. The companies they work for understand how human psychology works and they know that if their adjusters are perceived to be your friend, that they will illicit more information from you that can be used to decrease the value of your settlement or deny your claim outright. If you start to sense that an adjuster is talking “informally” to you, you must keep your guard up and maintain your focus. Don’t give them information they don’t need to know, and don’t get personal with them. It won’t help your case. When you are talking to the adjuster, don’t think that you must answer every question they throw at you. Name, address, location of the accident – that is all fine. But keep the information you divulge to a minimum. If they ask if you are “ok”, tell them that you are still treating and you don’t know. If they ask what your injuries are, tell them that you will send the medical records when you are finished treating. If they tell you that they will deny your claim if you don’t sign all their forms and answer their questions, tell them that is fine, then get their contact information so that you can have your lawyer contact them (even if you don’t have a lawyer yet). The bottom line here is that this is an adversarial process. The adjuster is looking for information that they can use to decrease the value of your claim or deny it outright. You don’t have to play their game, and you certainly don’t need to answer every question they have for you. When I say not to use loaded terms, what I really mean is that you shouldn’t use legal terms that you aren’t familiar with, and that you would never use in everyday conversation. Terms such as “negligence” or “reckless” or “whiplash” are all red flag terms that do not need to be discussed early on in the process. Simple language that describes the facts of what happened is sufficient. You shouldn’t inject your personal opinions or opine about information that you aren’t completely sure about. If you don’t know whether the person who hit you was speeding, don’t say that they were. Your arguments should be made in your demand letter or by your lawyer in court – not when you are first reporting the claim. Your Social Security Number. They have no legal right to this information and you should never provide it. Names and Contact Information for family and friends who were NOT involved in the accident and did not witness it. There is no reason for the insurance adjuster to talk to your family members about you and your accident. Don’t give them this information. Your workplace information. Again, there is nothing good that can come from giving the adjuster this information. You don’t need to provide it. Names of your primary care physician and other doctors you have treated with. This should be self-explanatory. The only information you should give to the adjuster is the name of any witnesses to the accident and whether Medicare or Medicaid has any interest in your claim. Aside from this information, you do NOT have to answer the insurance adjuster’s questions or give them any other information. If you aren’t sure what questions you need to answer and which you don’t, you should terminate the phone call and tell them that you will call back with your attorney on the line. Most people wrongfully assume that by giving a bunch of information to the insurance company, the adjuster will go ahead and approve their claim without much fanfare. Nothing could be further from the truth. The insurance adjusters are trained to do three things. 1) Keep you from talking to a lawyer; 2) settle your case quickly; and, 3) minimize the value of your claim. If they can’t get you to settle quickly, then they are much more likely to drag out your claim in the hopes that you will forget about it or give up. In certain situations, the adjuster will deny your claim outright. They may have good reasons for doing so or their reasons may be improper. (I will discuss bad faith denials in a separate article). If your settlement negotiations bread down and you are unable to settle your case, you may need to hire a personal injury lawyer who can file a lawsuit on your behalf. Regardless, going into your claim you should always assume that you will need to file a lawsuit to recover the compensation you are legally entitled to. By maintaining this mindset, you will keep your focus and never lose track of what your ultimate goal is.